Hello from HellaMaid, Guelph’s Premier cleaning service! Today we’re going to talk about organizing our organizational products! We’ve all scanned through Amazon endlessly, looking for the fix to our cleaning and organizing issues. We’ve all seen and saved and shared posts with extensive lists of hacks and tips and tricks that will finally put an end to our organizational dilemmas, but sometimes it might be easier to go the other way with our organizational strategies. Less is more. Whether it’s shoes, mementos, tools, or a bobble-head collection, we all have a big mess of something we don’t need, but if it’s something that brings us joy and keeps us entertained and happy, then why not? Even if we don’t use all 250 rachet heads every month, looking at that gleaming full case makes us proud and feel unstoppable… at least when it comes to odd-sized bolts. 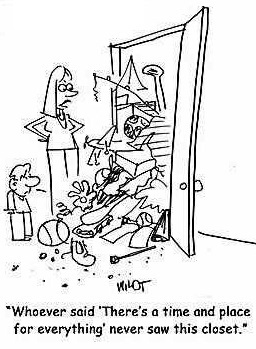 But our cleaning closet is rarely a well organized source of glee. There are a select few of us who look at a fully stocked cleaning caddy with the pride you might have for your near-perfect board game collection, yet so many of us stockpile cleaning products, spending time and taking up space that could be used for the things we truly adore. So what do we really need? Actually, the list is very small. Think about the things in your home that you need to clean. There are floors, surfaces, and objects. Most of your cleaning will be devoted to spot-cleaning, in which case a disposable rag might be enough. If not, a little bit of vinegar or lemon juice diluted in water often does the trick. A broom, a mop and a vacuum cleaner have your floors covered, but when choosing a vacuum, buy the smallest one you need, taking only your carpet area and not your total house square footage into account. Many large homes with hardwood and tile floors can get away with a tiny apartment-sized vacuum! For your surfaces, disposable rags have you covered again. You will rarely need anything more powerful than a basic all-purpose cleaner as long as you get to messes within a few hours. The same goes with the objects around your home. With the exception of exotic items with specific cleaning requirements like rare woods and antiques, you can get just about everything done with a rag and a light cleaner. 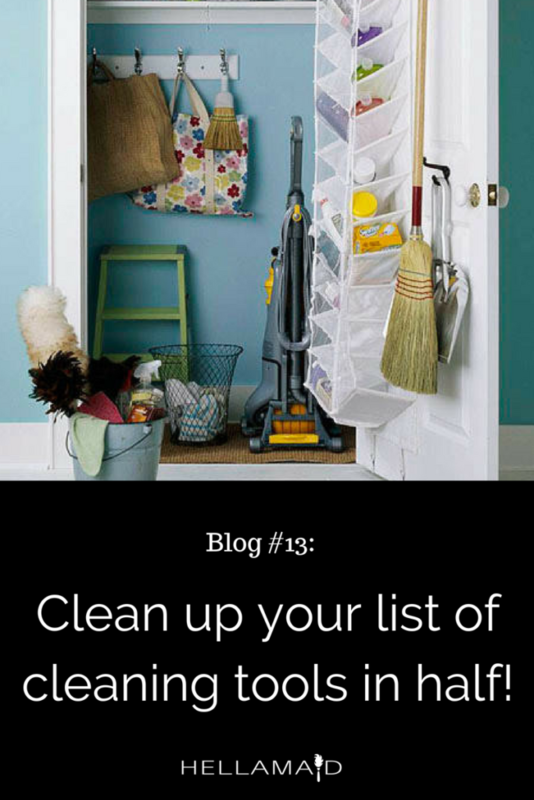 This leaves you with only five items in your cleaning closet; A mop, broom, vacuum, rags and an all-purpose cleaner. So what’s with all this stuff we collect for cleaning? The number one promise that cleaning products make is that using them is quicker and easier. The easiest way to clean up messes is to keep things tidy and organized, and get to the messes quickly. The longer you wait to clean up a mess, the more specialized cleaner you will need and the harder you will have to work. Instead, keep your cleaning closet nice and simple, saving money and space for the things you really enjoy. And if you ever find a mess that’s out of your depth, give us a ring! This post was brought to you by Hellamaid, a top-rated house cleaning service dedicated to the people of Guelph. Hellamaid has been a committed partner to the Guelph residential and construction sector and continues to provide exceptional cleaning services to clients. Reserve an appointment & book your cleaning online today! Contact us here if you have any questions. Visit our blog and follow us on Facebook, Twitter, or Instagram to view our work, learn new cleaning tips and tricks, and get inspired! Visit our reviews on Google! 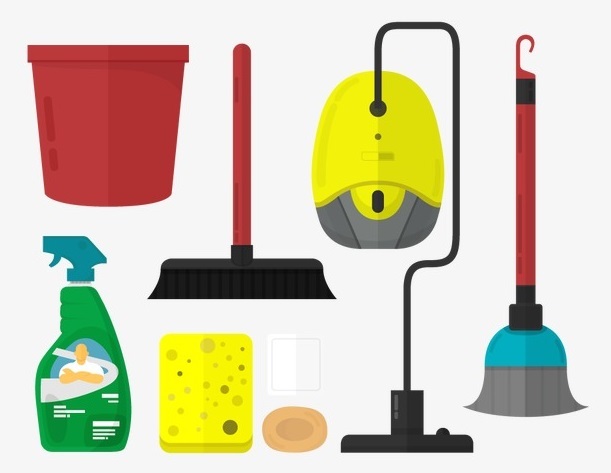 What Makes The Best Cleaning Company in Guelph?